For this week’s inspiration photos, we bring you five excellent pieces showing some great captures in wide open expanses. The weather in the Northern Hemisphere has warmed up, but the sun is still a little lower, making dramatic lighting more accessible than in the summer. 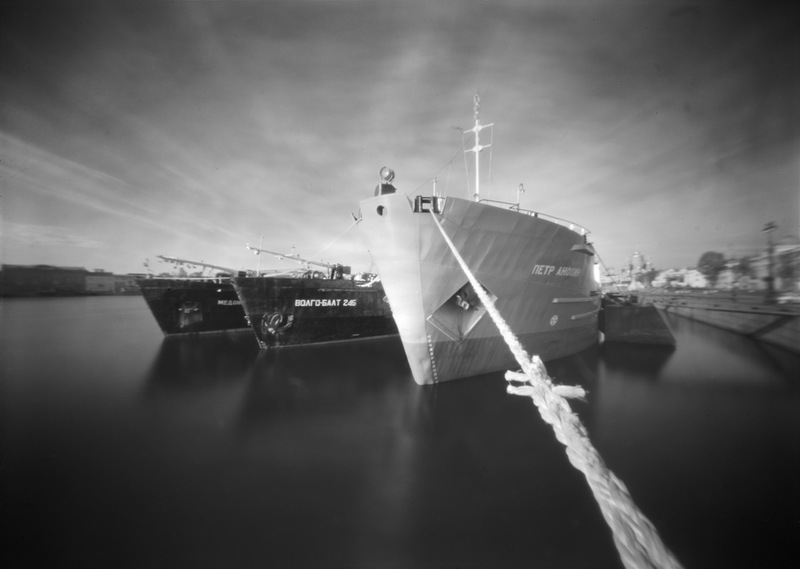 If we do our job right, this week’s selection will get you motivated to get out there and make some fresh pinhole captures this weekend. Enjoy! Don Pyle is a Washington based pinholer who captured this excellent vantage point of the Hawthorne Bridge in Portland, OR using a camera he builds called the Innova. A number of these Innova cameras are used in the wild by pinhole photographers around the world. The excellent results photographers are making with these cameras can be seen in the Innova Pinhole group collection on Flickr. 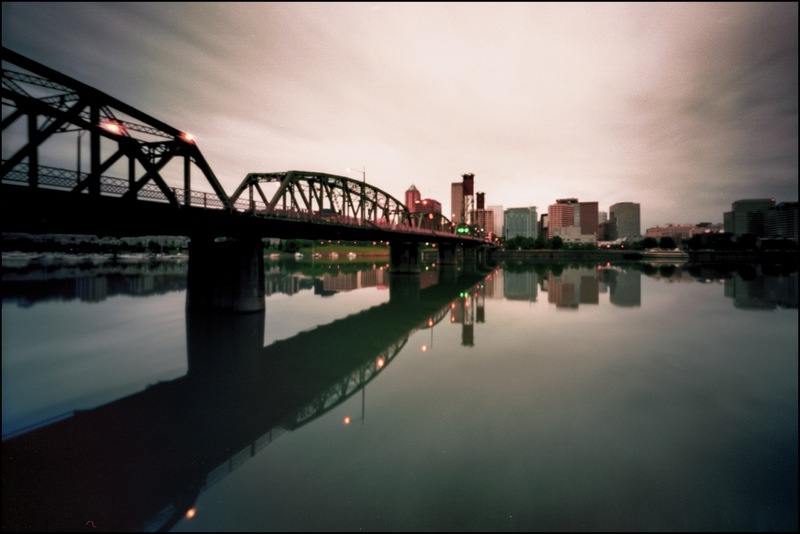 Don captured this image on Ektar 100 film in 120 format. You can find more of his photos on Flickr. Andy Werner is as equally talented behind the camera as he is building one in his cabinetry shop. He made this photo of Jack’s Rake – the diagonal path running across the face of the rock – in the Langdale Valley in the Lake District, UK. 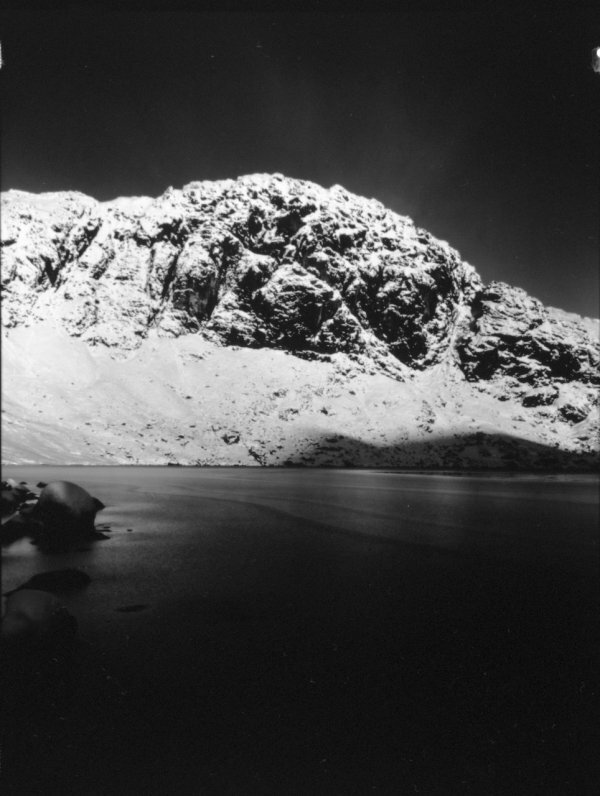 The rock is known as Pavey Ark, and you can see the camera he used here. 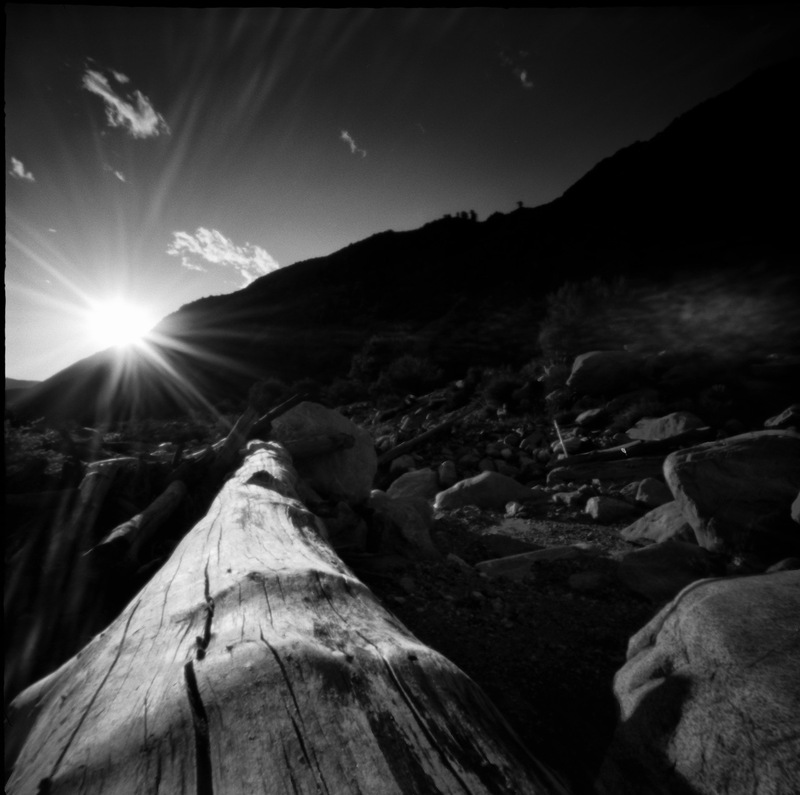 Andy has been shooting and building pinhole cameras for about ten years. So far the cameras have been for his own use primarily, and is currently working on selling small batches of his cameras. You can find more of Andy’s work on his website, Facebook, and Flickr. His cameras will soon be available here, or you can get updates on Facebook. “I took this photograph after visiting my mother’s grave on what would have been her 70th birthday. She had long feared growing old, never did, and passed away at 67. I didn’t say much to her at the grave, and though it had been years since she passed, I was still angry she didn’t stick around. You can view more of Cameran’s excellent work on Flickr, Instagram, or follow him on Twitter. 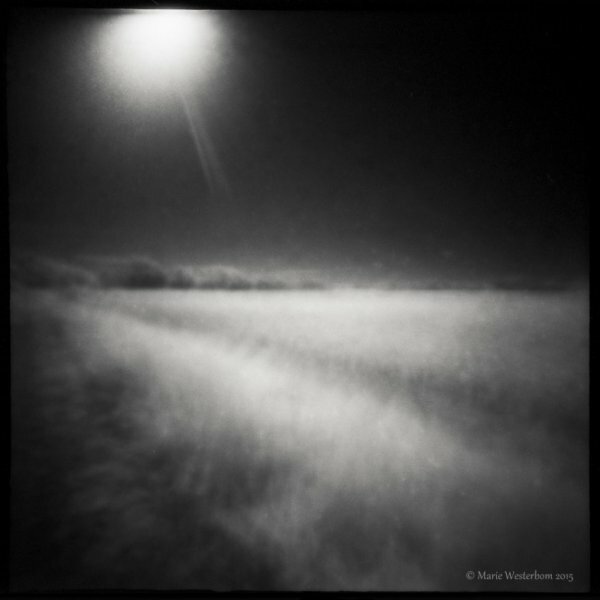 Marie Westerbom made this awesome, ephemeral capture using IR film in her Zero Image 2000. She hand held the camera while making the photo over a 2 minute exposure. The result is a practically translucent impression of the field in a breeze. You can see more about the background of this photo on Marie’s blog, or see more of her work on Flickr.